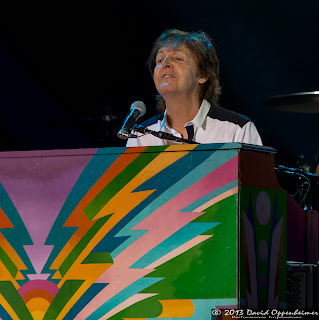 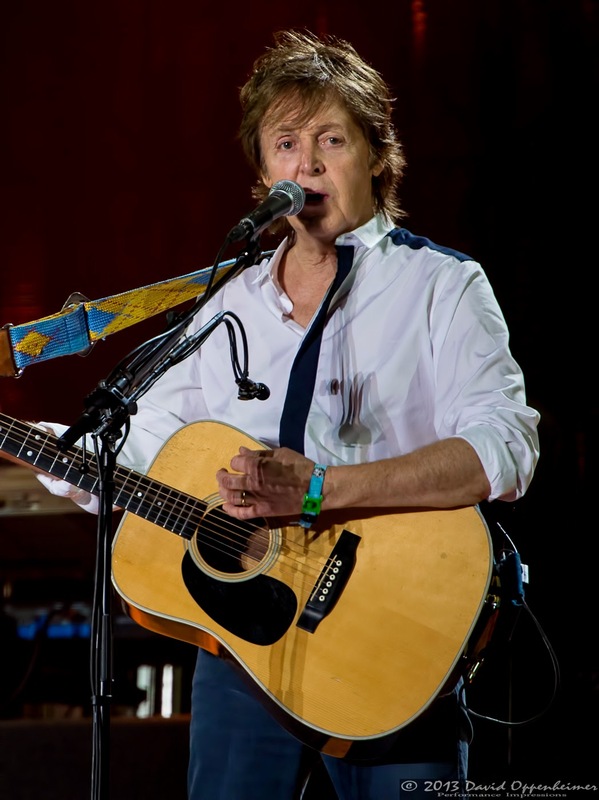 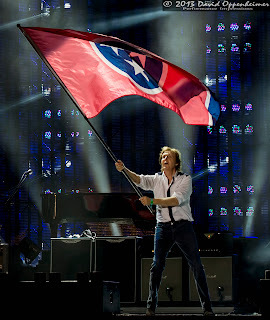 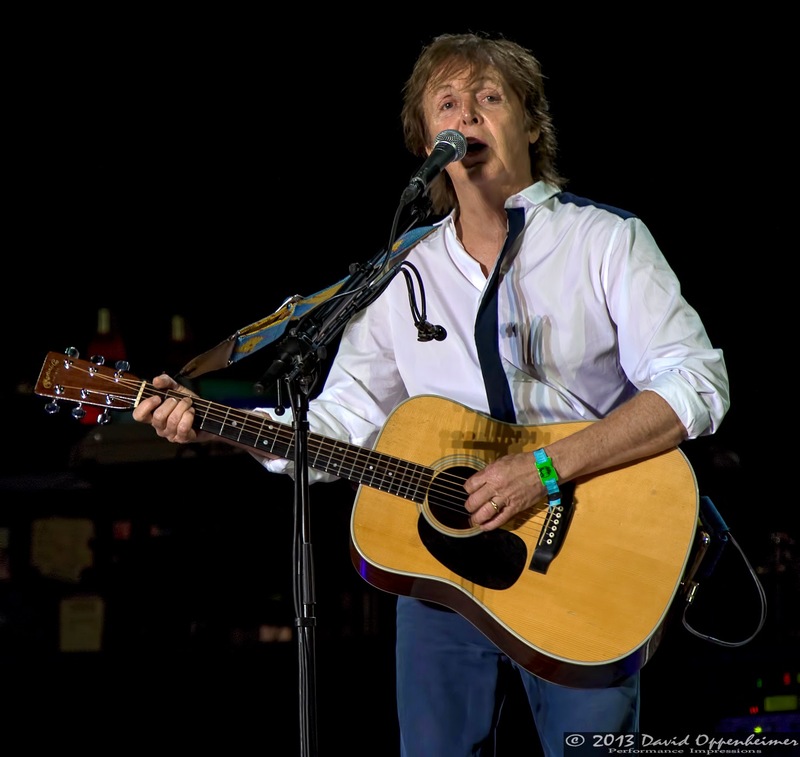 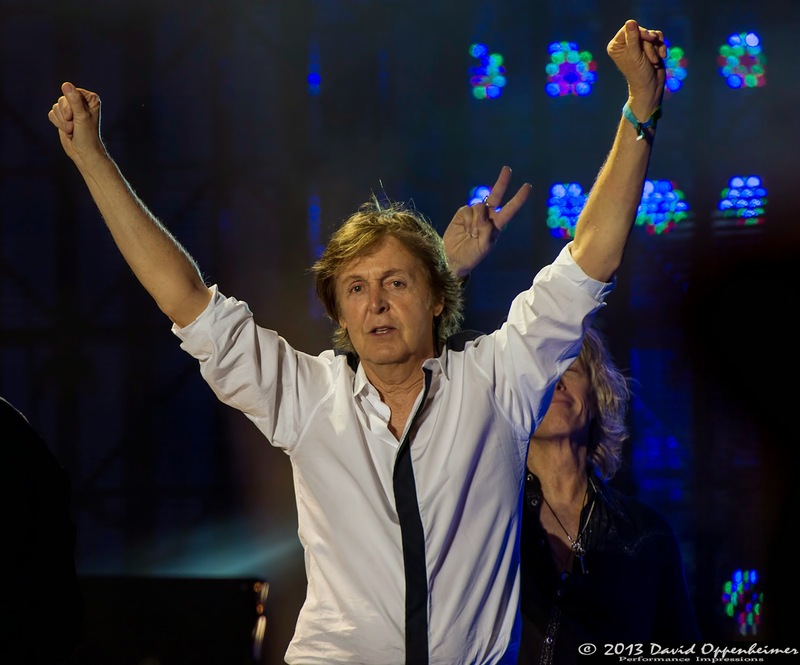 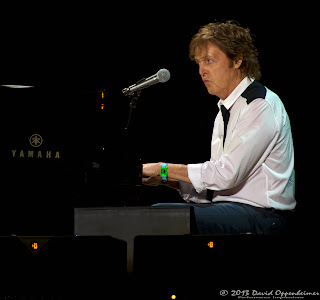 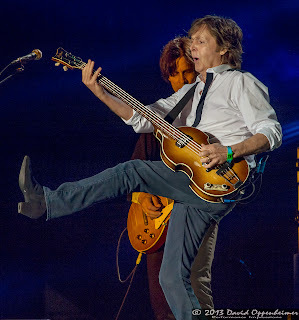 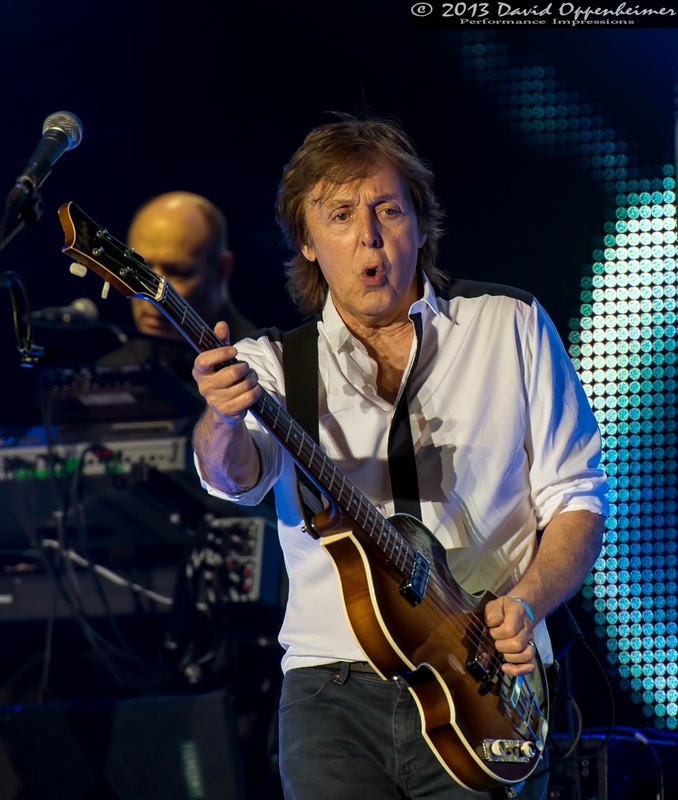 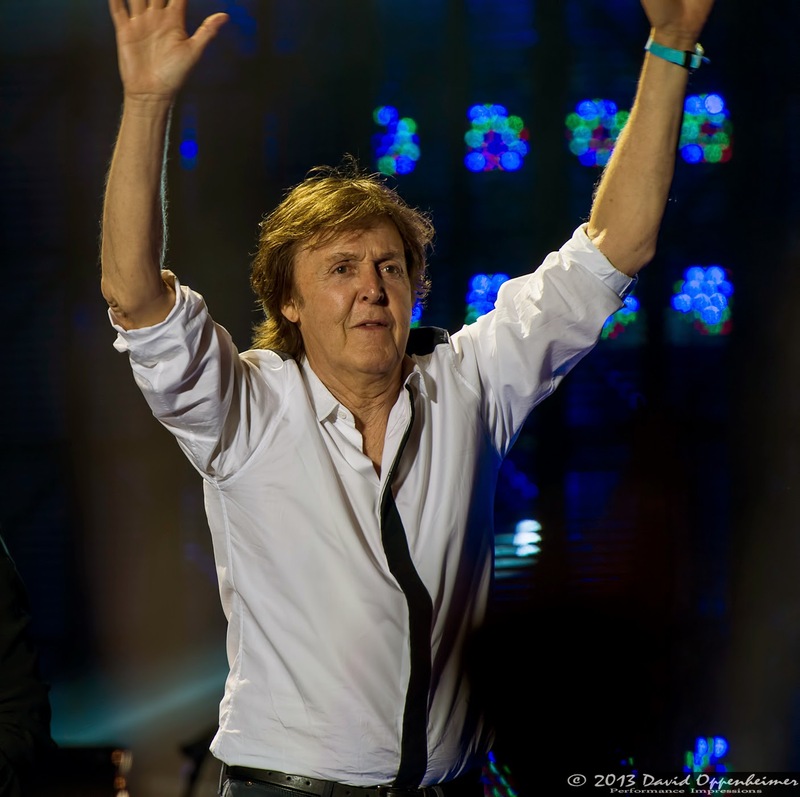 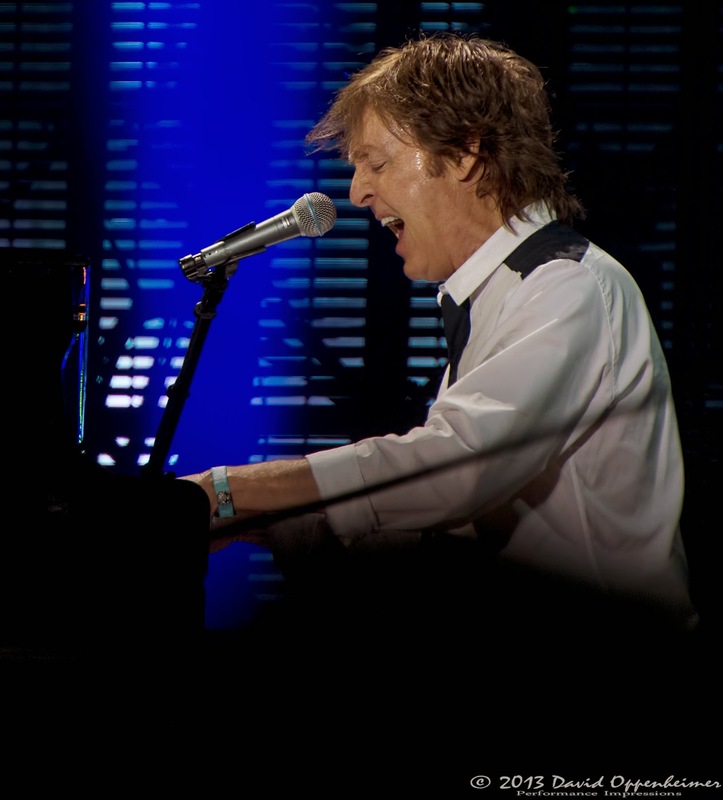 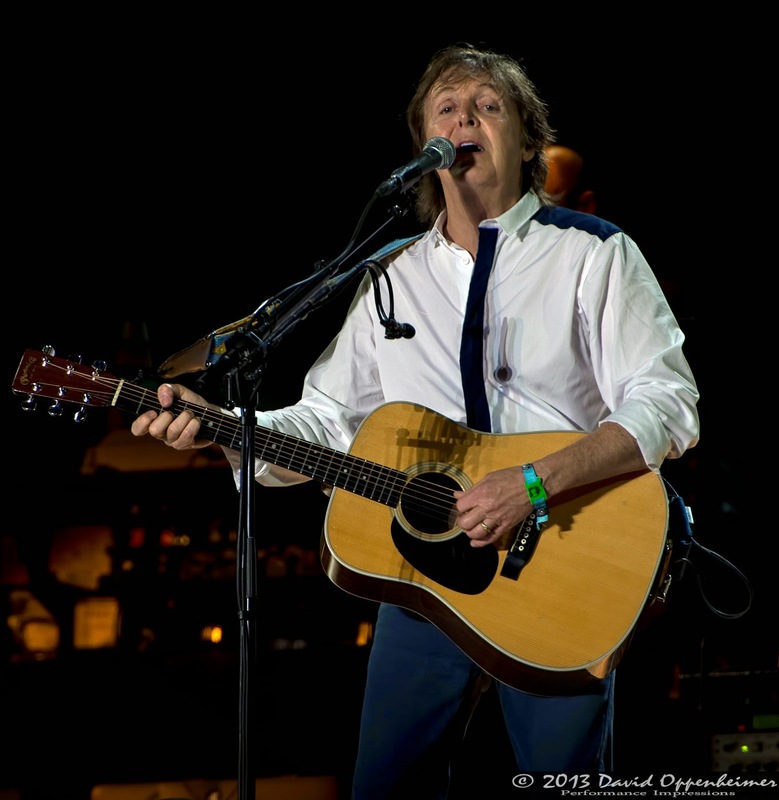 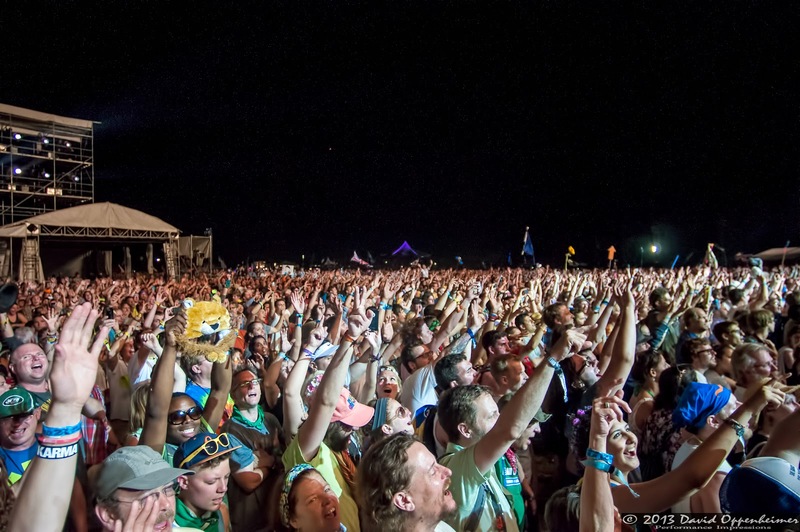 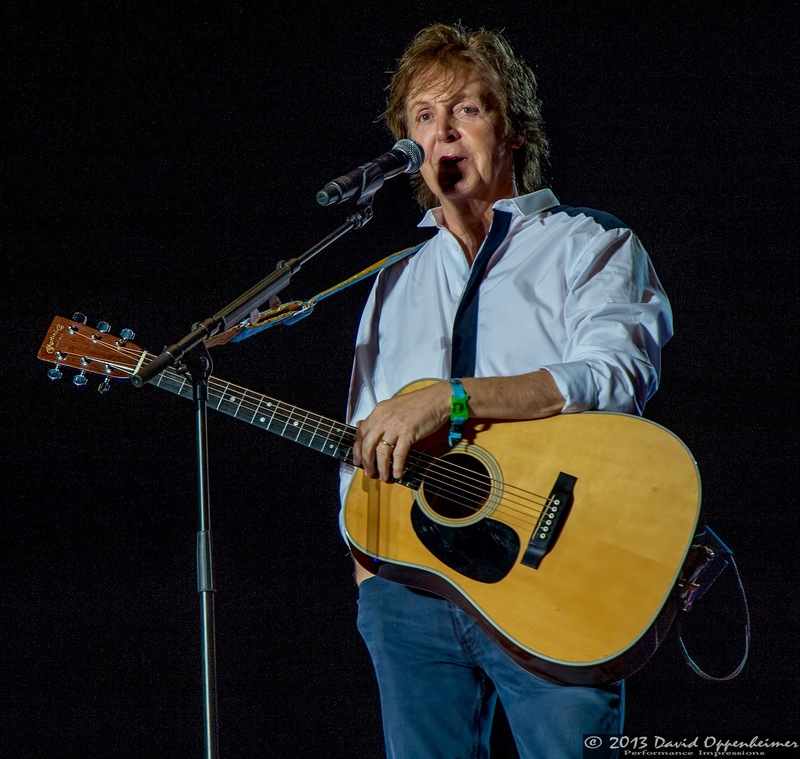 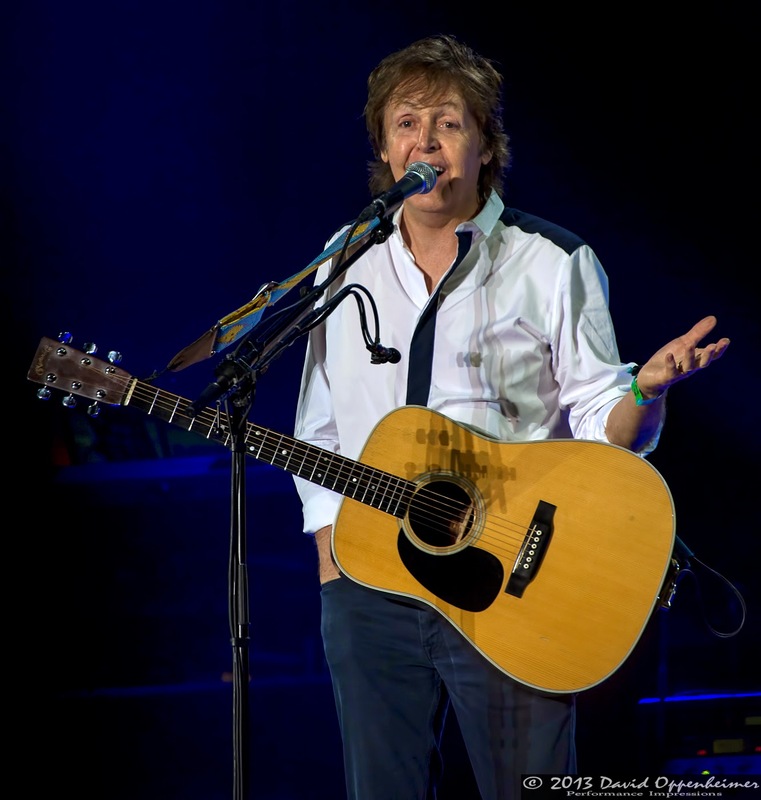 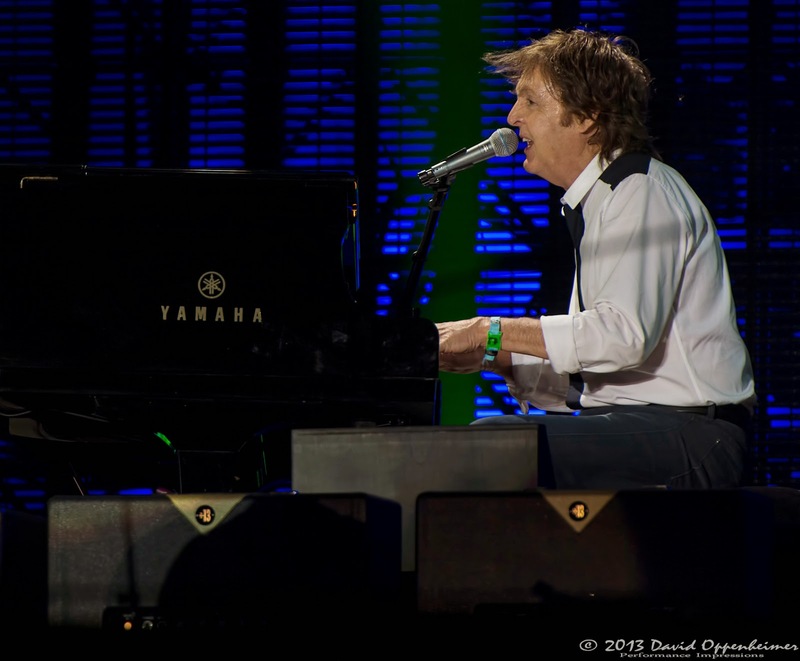 Arguably the most epic headlining act in the history of Bonnaroo Music and Arts Festival was Sir Paul McCartney, playing Friday night at this year’s event. 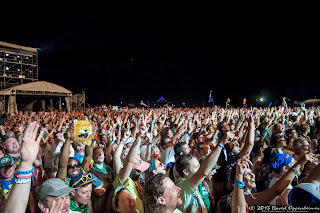 Bonnaroo always has a way to go over the top in many aspects, especially in the magnitude of performances. 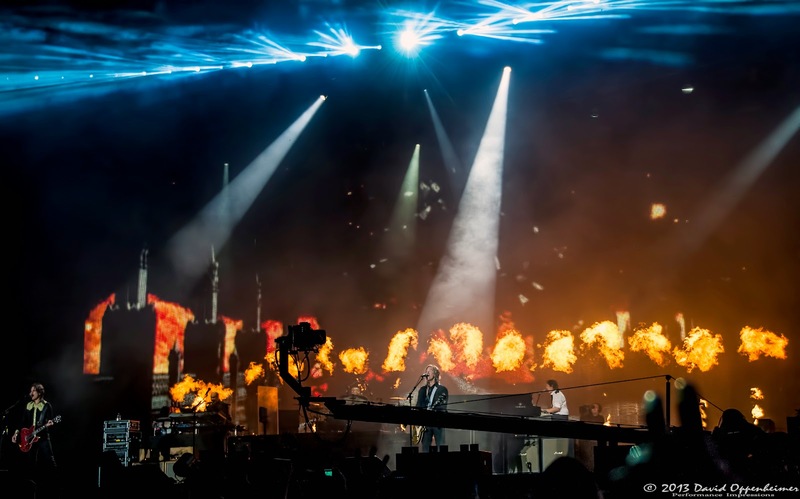 It seems like every year has a way of outdoing the year before, and this year was no different. 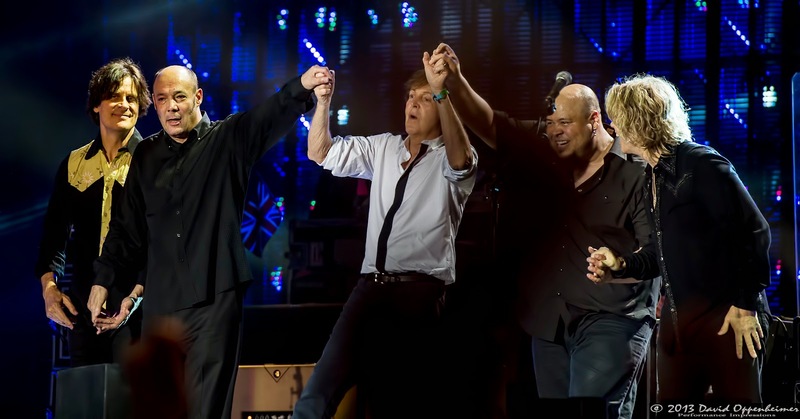 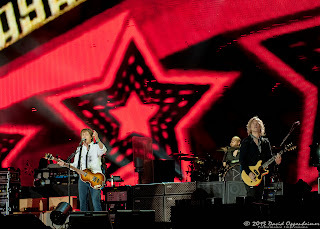 Sir Paul and his band came onstage to a cram packed crowd of seventy thousand or so screaming fans on the What Stage. 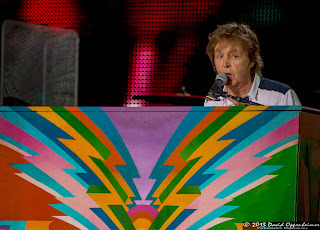 The performance from this 71 year old (70 at the time) was nothing short of magical. 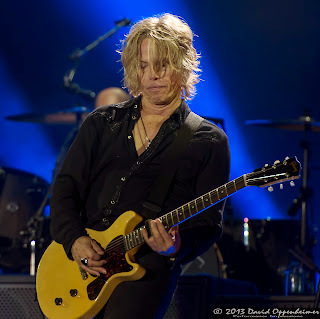 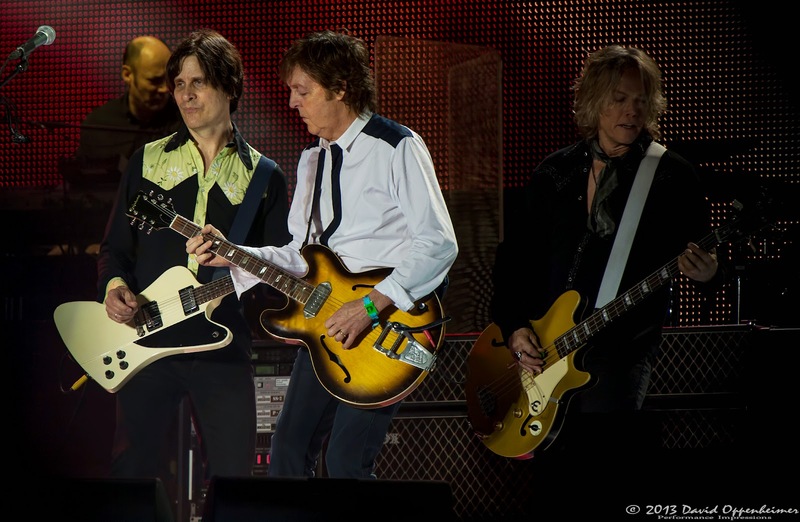 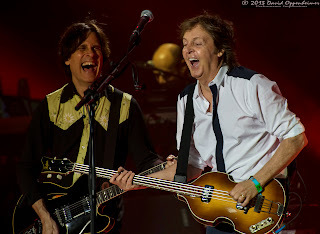 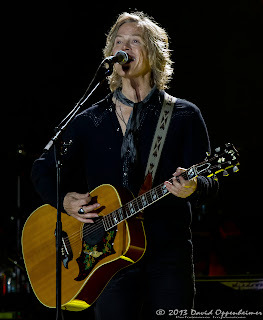 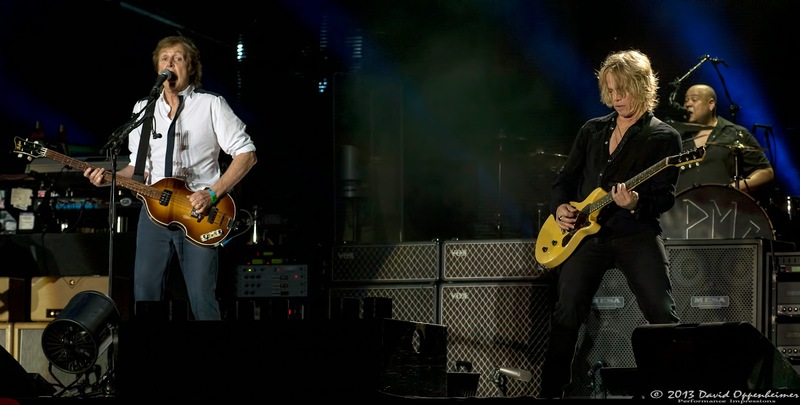 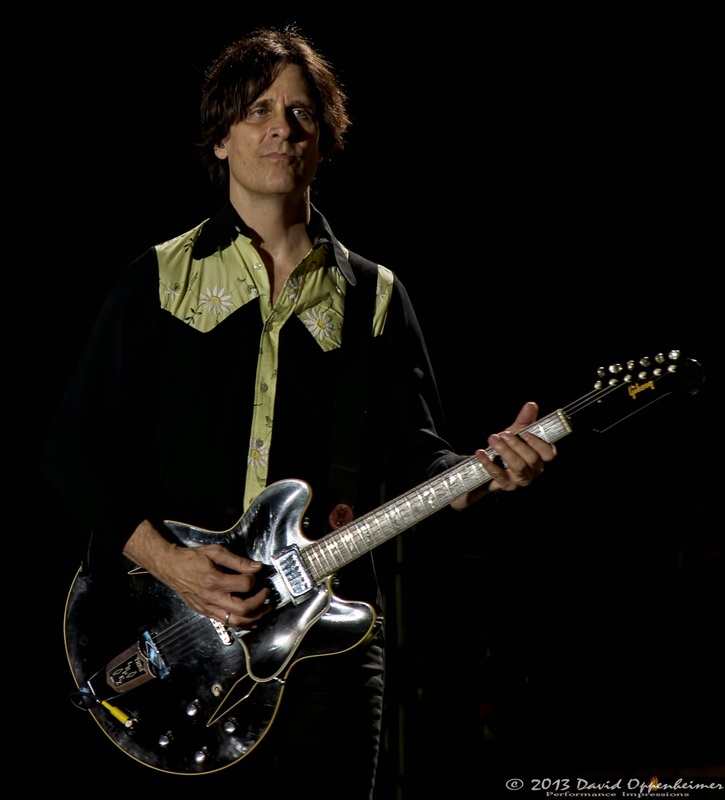 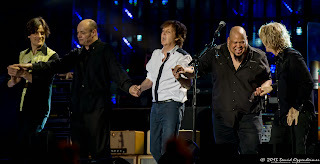 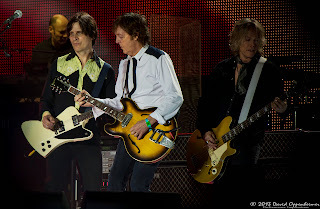 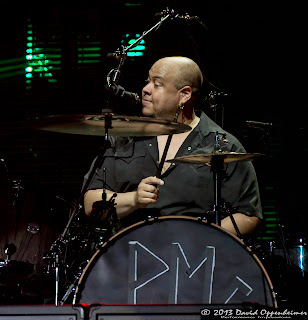 Supporting McCartney was Rusty Anderson on lead guitar, Abe Laboriel Jr. on drums, Paul Wickens on keys and Brian Ray on rhythm guitar and bass. 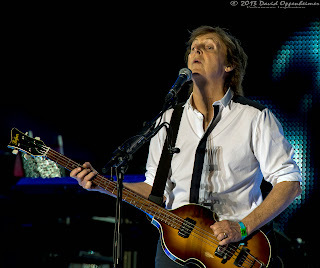 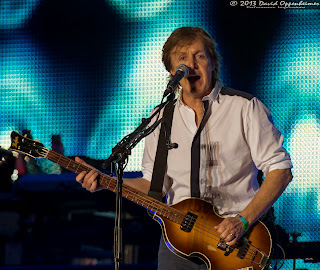 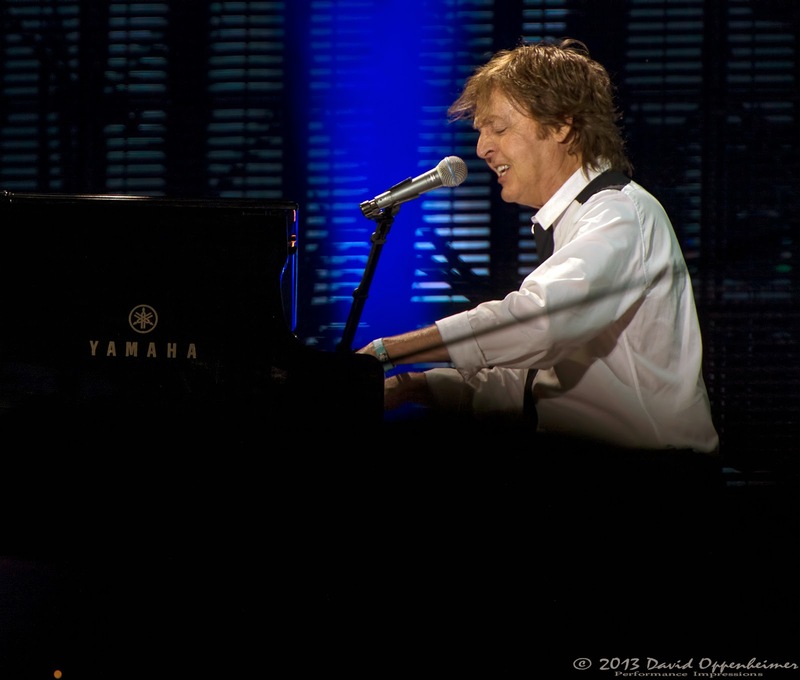 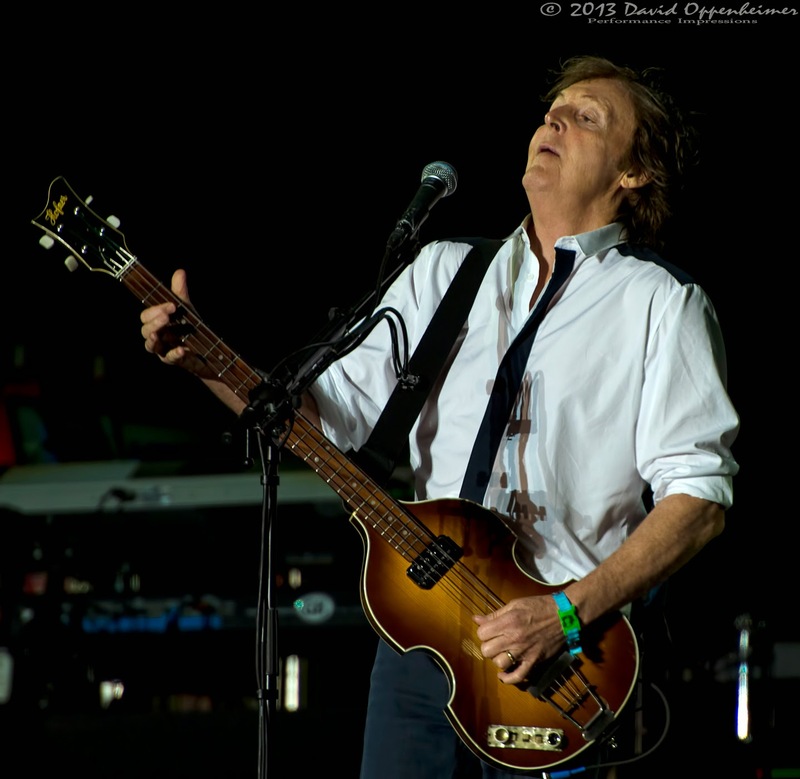 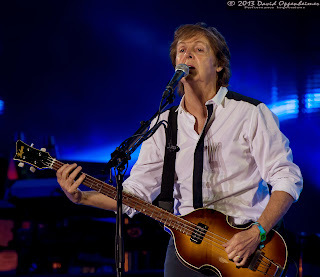 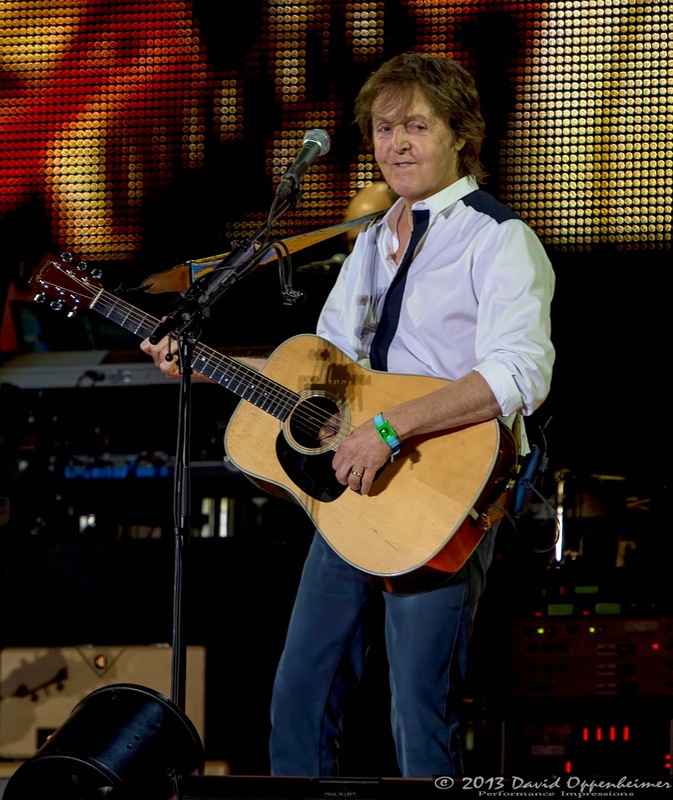 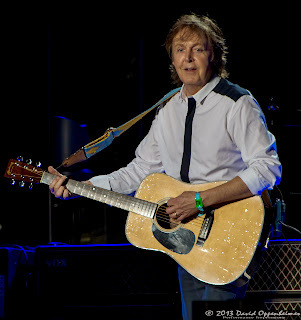 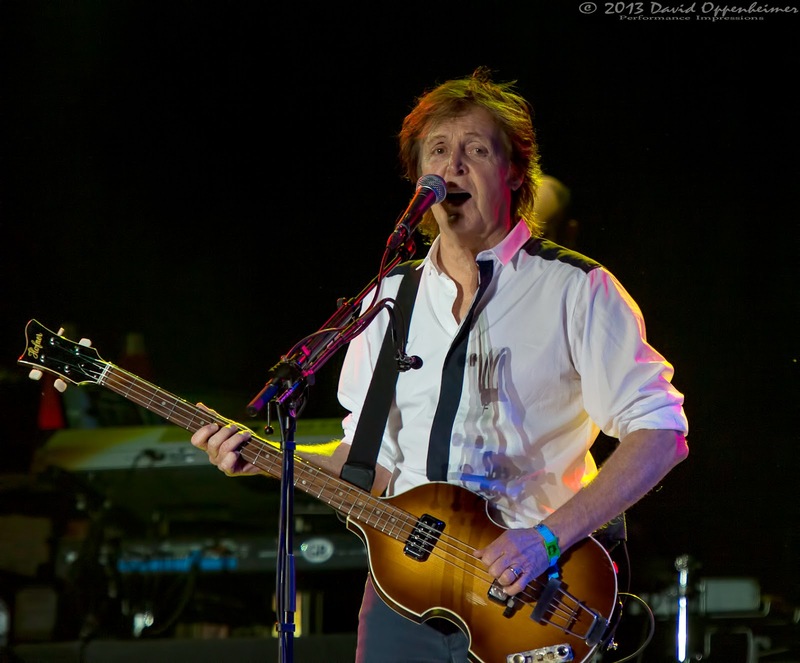 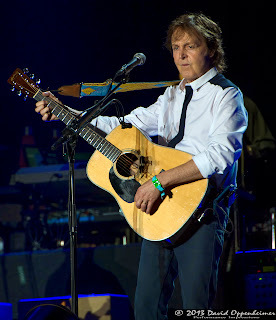 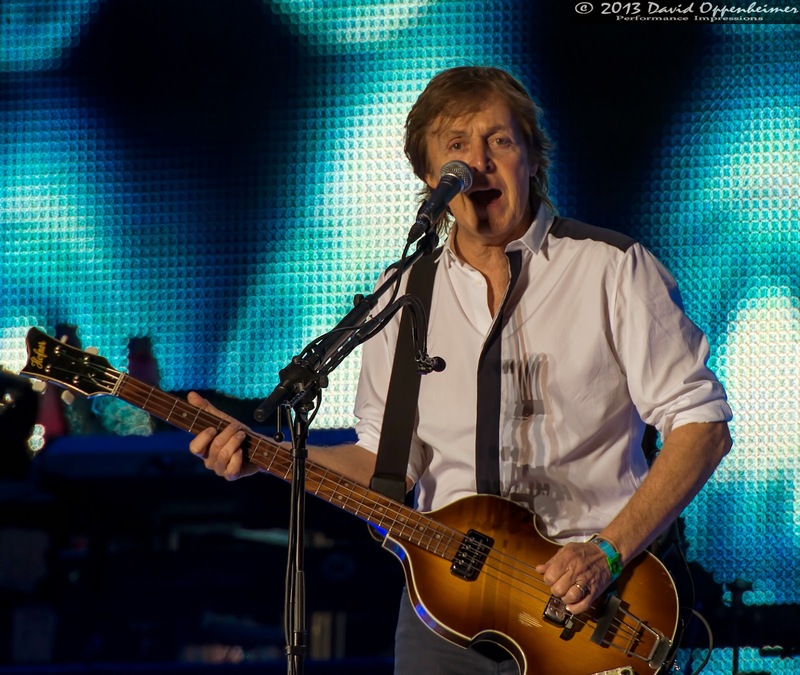 McCartney cycled through playing his Höfner 500/1 bass, acoustic guitar and piano. Over the course of two and a half hours, this group of powerhouse legends played 38 songs, the majority of which came from The Beatles’ and Wings’ repertoires. They played all of the best and biggest hits that Sir Paul has been a part of from the past five decades. 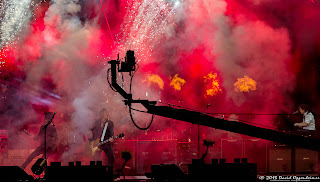 The fans in the crowd knew every single one. 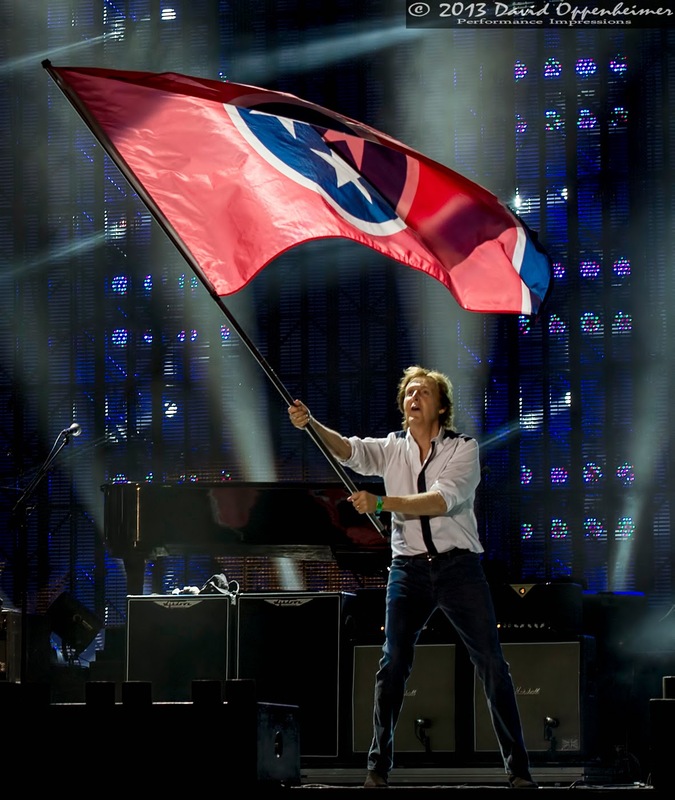 There were so many highlights from the show, including Highlights from the main segment of the show included “Eleanor Rigby,” “Hey Jude,” and “Back in the U.S.S.R.” among numerous others. Aside from the musical splendor that this group of people was lucky enough to witness, the visual display was equally as impressive. 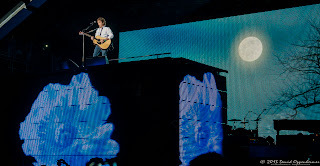 The enormous backdrop for the grandiose stage structure was a screen showing various visualizations moving to the beat. 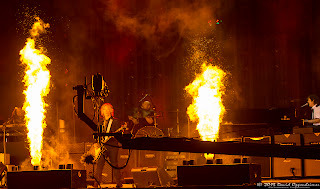 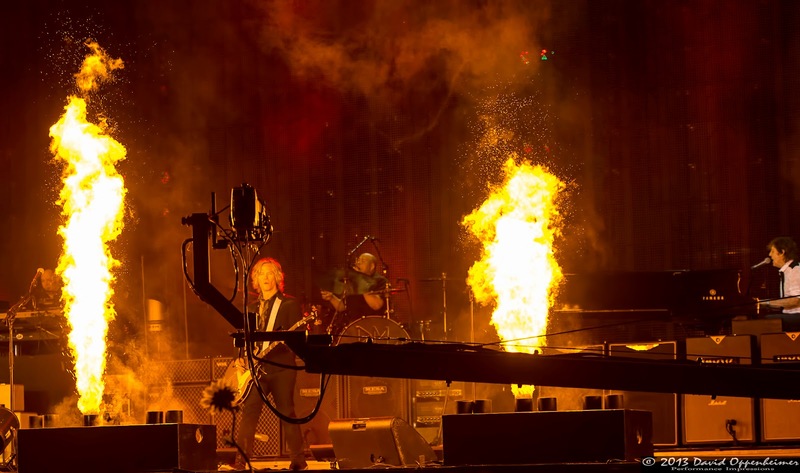 Certain songs were accompanied by gigantic streams of pyrotechnic fire coming from the stage. “Live and Let Die,” the song made famous by the James Bond Film, featured a colossal fireworks show during its tense refrain. 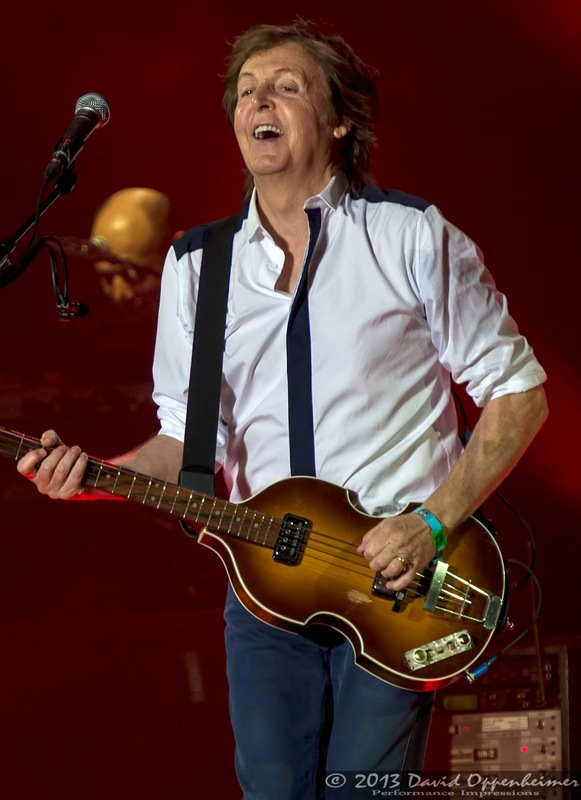 When it was all said and done, Sir Paul McCartney’s performance left the audience in awe as they realized that they had just seen the former Beatle live in action doing what he does best. Paul McCartney has been named the most successful musician of all time with combined record sales of over 100 million. 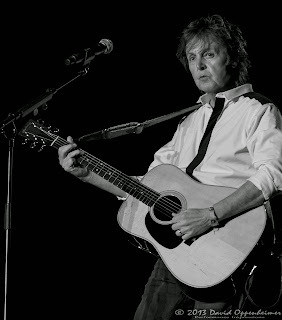 Throughout The Beatles, Wings, and his solo career, he has written and composed songs that have influenced music as we know it. 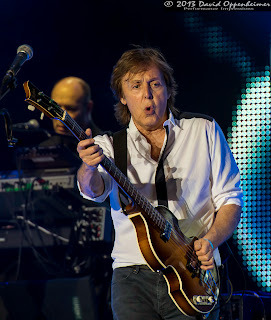 Having just turned 71 this month he has shown that age has not slowed him down one bit. 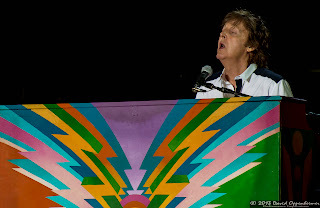 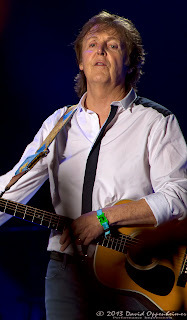 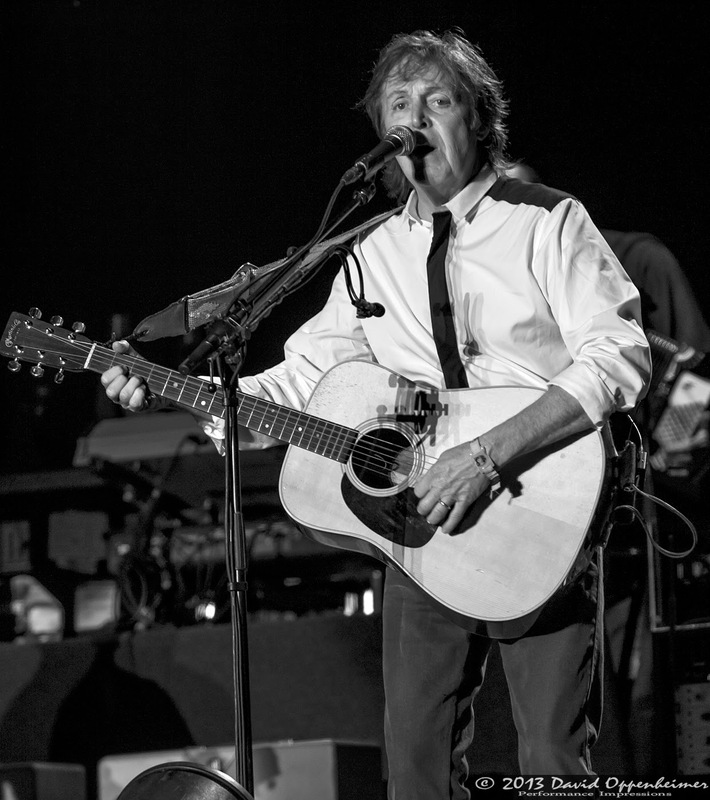 McCartney actually has several more tour dates lined up for this summer in the United States and Canada. 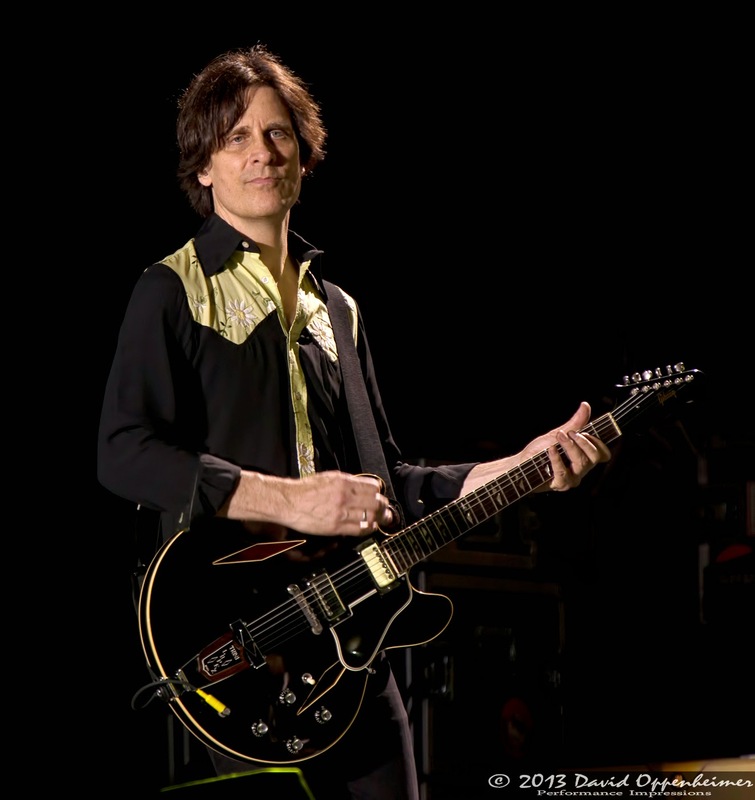 His shows are one-of-a-kind, so take the opportunity to see this legendary musician performing his songs made out of pure gold.